I knew as soon as I met Kirsty & Gavyn to discuss their West Tower Wedding Photography this wedding was going to be right up my street. 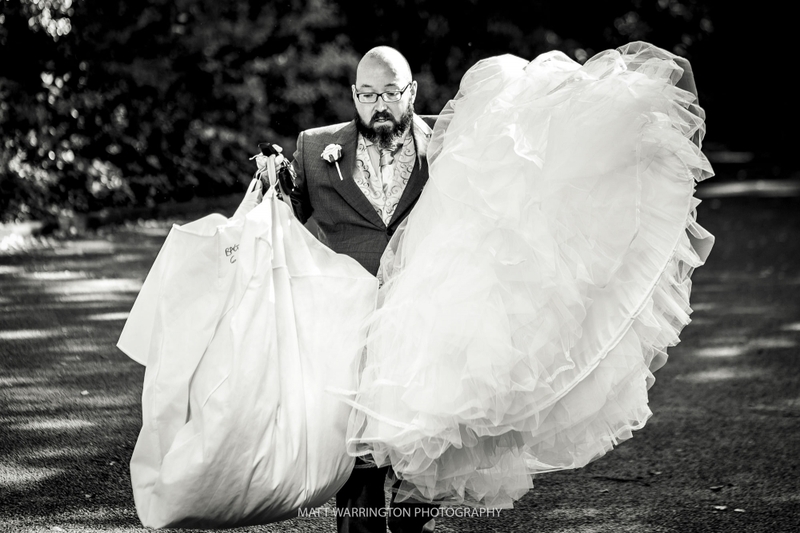 A festival themed Wedding at a Top Lancashire venue, whats not to like? I arrived at prep greeted by Man of Honour Tyler wearing his Lloyd Fest T-Shirt. This was just the beginning of the festival theme, personalised wrist bands, a line up poster for a seating plan, lanyards were just some of the amazing things Kirsty & Gavyn had designed for their wedding. In fact Kirsty & Gavyn run Pixel Ink Designs which specialise in wedding and event stationary, go and check them out. The morning was very relaxed and it was great to be able to pop down to see Gavyn and his groomsmen. The ceremony was full of laughter and lovely personally written vows. Following the ceremony we were treated to amazing weather, I couldn’t believe this was October, everyone sat outside enjoying the Sun. We managed to sneak away for 10 minutes of very informal portraits where we just had to go in the farmers field, an opportunity like that just cant be missed. One of the best things about being a West Tower Wedding Photographer is the chance of an amazing sunset over the back of the venue. We were lucky to get just that in October in what turned out to be one of the hottest weddings of the year. So we popped out after the meal for another 5 minutes and managed to use the gorgeous orange Sunset. 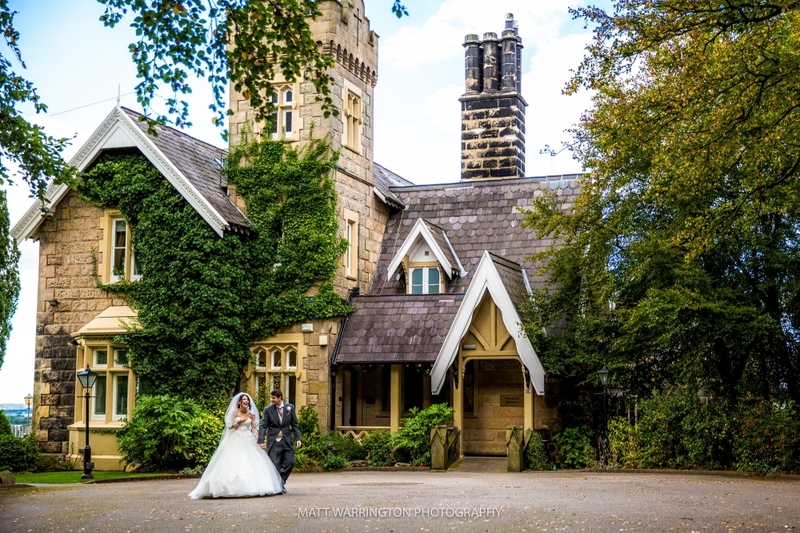 I was lucky enough to work with Lancashire Wedding Videographer MoviArt Wedding films. I’ve worked with Mick & Rach before and can’t recommend them highly enough, they work in the same natural, un-obtrusive way as myself and their work is excellent. I really enjoyed being a wedding photographer at West Tower, Kirsty & Gavyn had the perfect day and below are just a small selection of images. Huge thanks to Andy Griffiths for assisting on the day and all the staff at West Tower for looking after me. 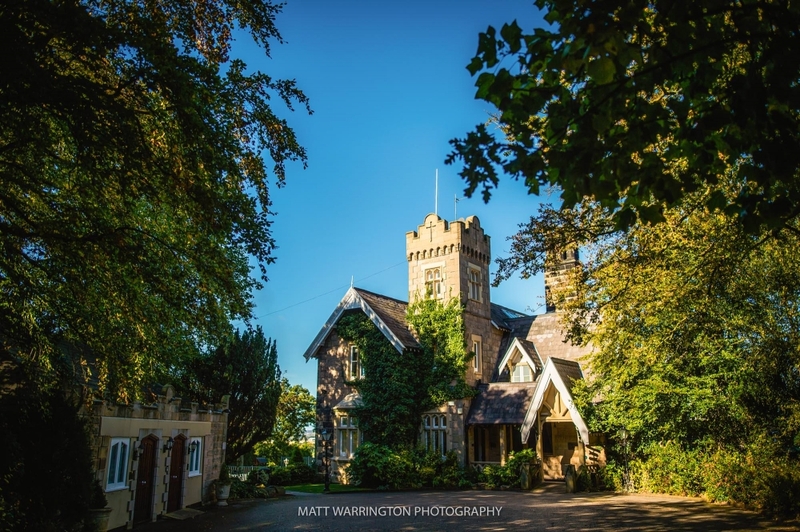 If you are interested in an Award Winning West Tower Wedding Photographer who shoots in an unobtrusive natural way then get in touch to discuss your day.